120-150mm refractor for Cak/Ha imaging? Suggestions for a larger refractor that is well corrected for both Ha and Cak (lunt 1800)? Edited by torsinadoc, 11 February 2019 - 01:04 PM. Cost no objective the Takahashi TOA130 or TOA150 is the way to go. So, really, there's a few gems out there. But frankly, I wouldn't stress too much about finding a refractor that is very well corrected in the popular wavelengths. They should all be corrected enough for HA. It's likely the CaK that might come into question. But even then, most refractors are going to perform rather well. I'd worry more about seeing conditions with 120mm & 150mm apertures, than if the refractor is very well corrected. With other mirror designs, there are differences for sure (SCT mirrors for example with Cak). Anyhow, while it can be important to squeeze every last ounce out of something, I wouldn't consider it paramount compared to just having good seeing. Anyhow, I think the SkyWatcher ED Pro series are pretty well corrected in both, like their 100ED, 120ED, 150ED. There's also the iStar Optical HA doublets that are designed for HA, but I'm unsure of their correction in CaK. Edited by MalVeauX, 11 February 2019 - 04:02 PM. Thanks. I have a smaller scope for average seeing conditions (lunt 80). I was leaning towards a 120ish range but I can always add a mask to the 150 which gives more options when I have really good seeing. 150mm ED doublets are significantly worser corrected at Ha and CaK than simple BK7 - F2 doublet at the same F/D. ED has advantage that these wave length's focus points are closer to each other than in achromat. Standard achromats are best telescopes (among refractors) for narrow band imaging. Do you have any examples of BK7 - F2 doublets you can share Valery? Do you mean an objective in a flesh or just an optical design data? Almost all achromats have this type (or analog) of glasses. No reasons to use another (usually more expensive) glasses. Good. 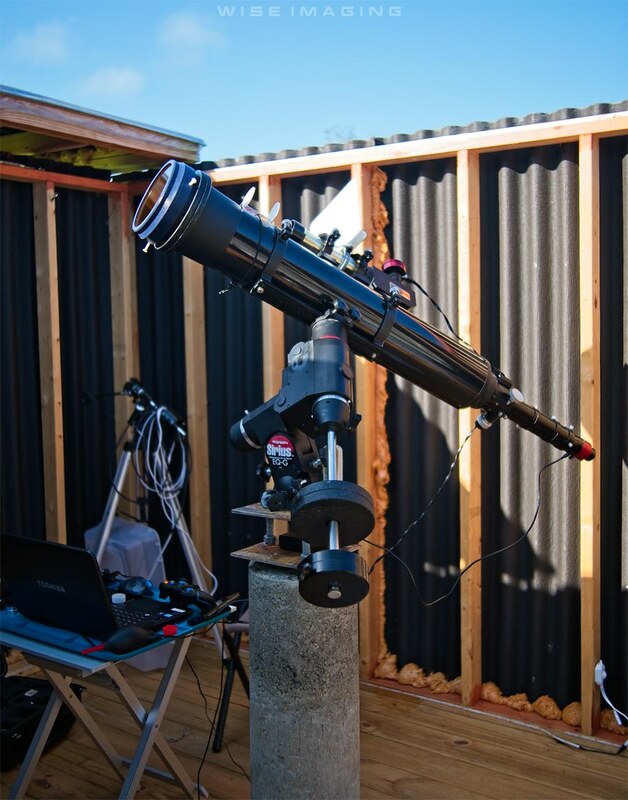 You just saved me some $$$ when I build my observatory and need a 4" scope for CaK. 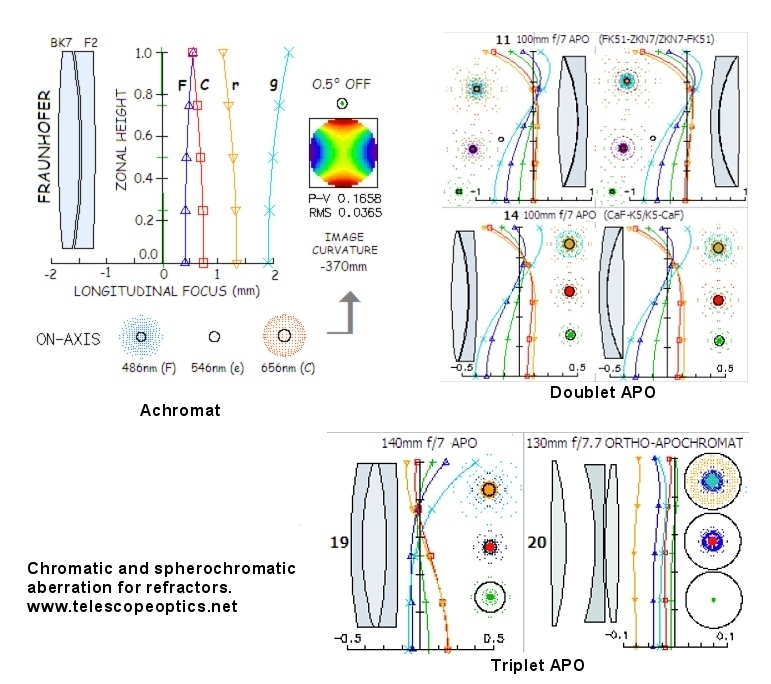 As the diagrams from Telescope Optics.net shown below indicate, the typical achromat objective will have a lot of longitudinal chromatic aberration (the large separation between the spectral lines on the horizontal axis). As is well known, these objectives can not focus all colors together. They are usually designed to have best performance at the e line at 546 nm in the green where the eye is most sensitive to at night. On the other hand, they do indeed usually have less spherochromatism, which is indicated by the amount of curvature to the spectral lines on the vertical axis - note especially the straightness of the e line (shown for the radius of the zonal height). For monochromatic imaging, sphereocromtism is the far more important consideration. While generally no commercial objective is specifically designed to be corrected for CaK at 394 nm, the G line at 431 nm indicated in blue gives an indication of CaK performance. Note the horizontal scale is in millimeters, and as noted, the Takahashi TOA 130 Ortho-Apochromat and its larger brother are currently as good as you can get from both a longitudinal chromatic aberration and spherochromatic aberration standpoint. Edited by BYoesle, 13 February 2019 - 12:02 PM. I'm guessing the caveat with a Fraunhofer is that their good latitudinal correction is only preserved at longer focal ratios? 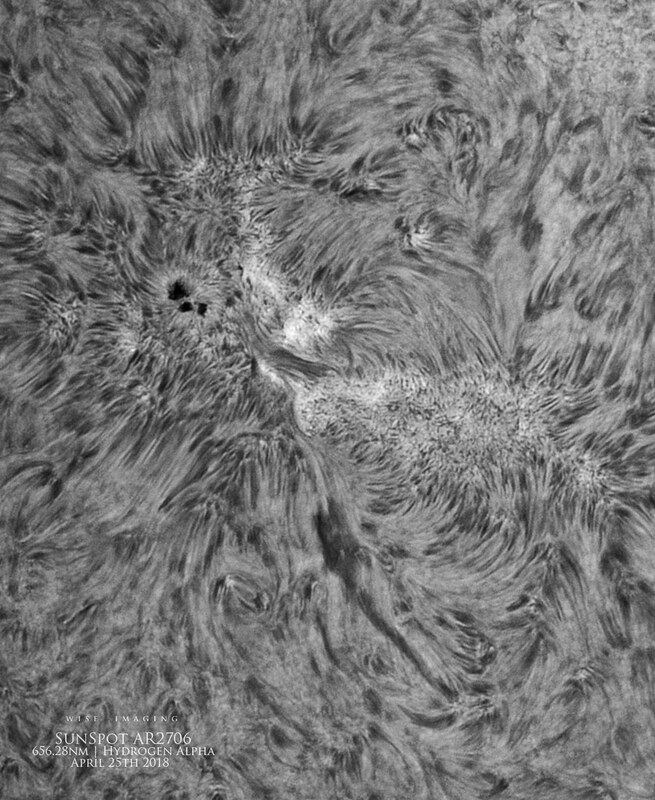 I use a Tak TOA-130, with DayStar filters - a H-alpha Quantum SE @ 0.5 A and a Calcium H-line Quantum. I recently bought one of the new Magnesium Quarks but I haven't had any good weather yet to try it out. And, FWIW, when I don't want to drag out the Tak, I use a Televue TV-85. @MalVeauX--From what vendor did you purchase your ERF. I have a standard Daystar ERF, full aperture of 150mm, it's the newer yellow glass type. I bought it used. This is only for the HA images above. For the Cak images, my ERF is merely a Baader 2" Blue CCD full-IR block filter which can be bought from Agena Astro individually and works well even at 150mm. 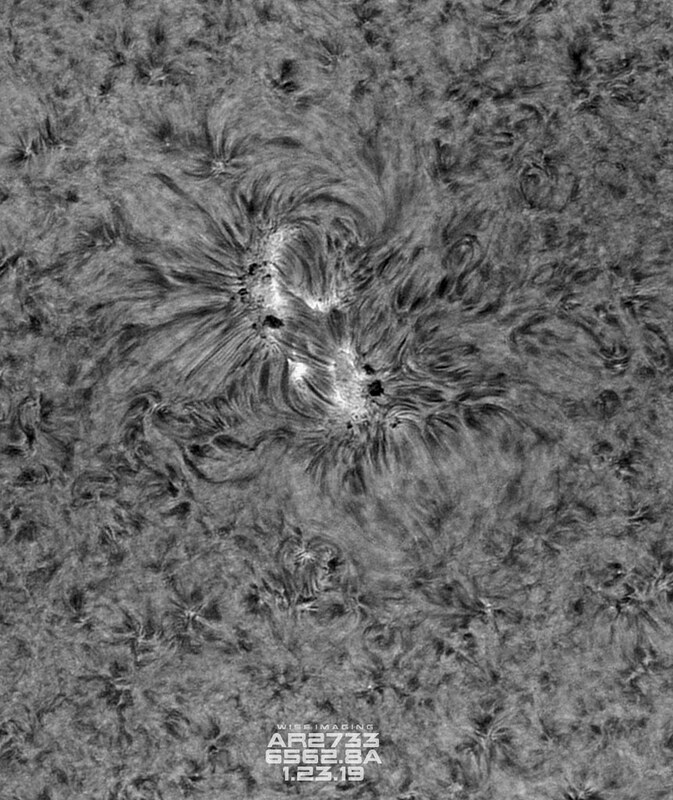 Caution about DayStar ERFs: to the best of my knowledge they are long-pass filters only and block UV well, not IR. I would be sure to use a good quality UV/IR, or nighttime H alpha filter for IR blocking in conjunction with these filters. And they appear to be quite spendy on their own (new at least). 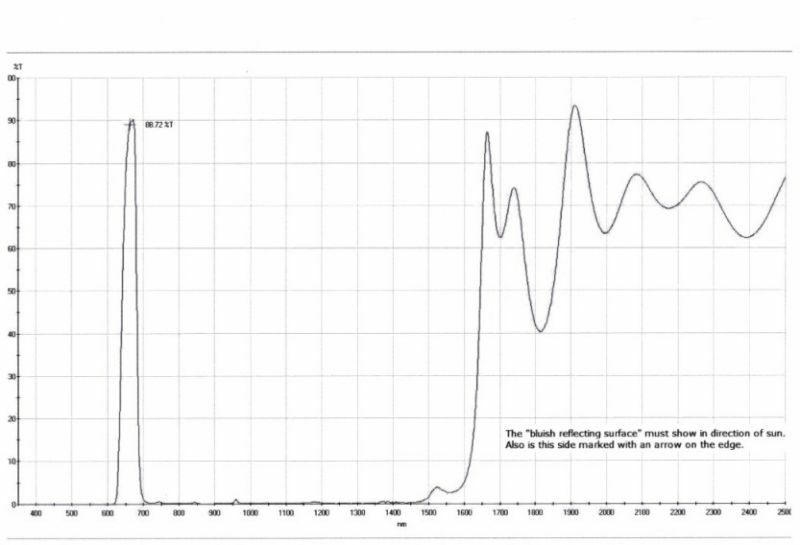 That's one reason why Mark Wagner sells his Solar Spectrum filters through Baader. This will make a difference in prolonging the life of the filter's bocking and trim filters, although with a Quark this is less of a concern than the SE and PE filters (about a $875 repair/replacement cost). Edited by BYoesle, 13 February 2019 - 08:55 PM. Caution about DayStar ERFs: to the best of my knowledge they are long-pass filters only and block UV well, not IR. I would be sure to use a good quality UV/IR, or nighttime H alpha filter for IR blocking in conjunction with these filters. This will make a difference in prolonging the life of the filter's bocking and trim filters. Help me out here. I've been using my Quantum now for nearly 10 years, I have DayStar yellow full-aperture ERF's for both my TV-85 and my TOA-150, I don't see any degradation in viewing. Just curious as to where you got your "knowledge" on the quality of these ERF's - nothing personal, just would like to look into this myself. Call DayStar and ask them - are the red/yellow ERF's uncoated, AR coated, or UV/IR coated? I'm sure they will tell you straight up. I have owned a DayStar filter since the were introduced in the mid 1970's - first the 0.7 ATM, and now a 0.6 PE. The ERF's back then were RG630 with no IR blocking. 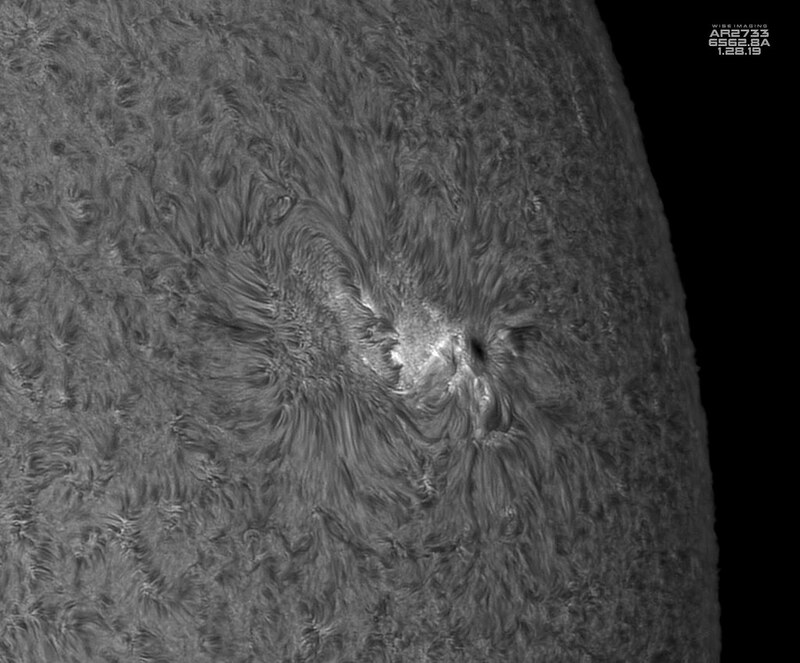 When my original filter needed the blockers replaced, Mark Wagner, then with DayStar, let me know of the issue with IR. He has since left and started Solar Spectrum filters, introduced TEC technology for temperature regulation - since adopted by DayStar - and the use of the dielectric coated UV/IR blocked DERF made by Baader who sell/distribute his filters to mitigate blocker deterioration. "Energy Rejection Filters reduce the heat load on your filter assembly by absorbing or reflecting UV and/or I light and transmitting light in the desired visual spectrum. These filters are sometimes Red or Yellow glass, or dielectric IR and UV, but pass light in the desired visual spectrum." Emphasis added. DayStar sells both the red/yellow glass ERF, and the Astronomic IR/UV filter that goes on the nosepiece of the filter, and does not specifically state that the red/yellow glass ERF is UV/IR dielectric coated. These filters work to absorb UV, not reflect it, and I have observed no dielectric reflective coating on any DayStar ERF, which if present is fairly obvious. "Colored glass ERF's block all Ultraviolet light and all visible light below the 500nm range. 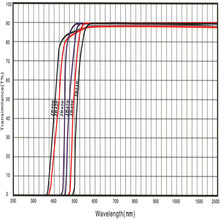 Red glass blocks all visible light below 600nm (making it red). We choose Yellow 500nm cut point glass in the event that an owner might later acquire a Sodium or Helium D3 line filter. The same glass can be used for both types of filters, but Red glass can only be used for Hydrogen." You will not get much 'reduction of the heat load' with these colored glass ERFs. This might have originally been intentional to help the filter get to their on-band operating temperature. 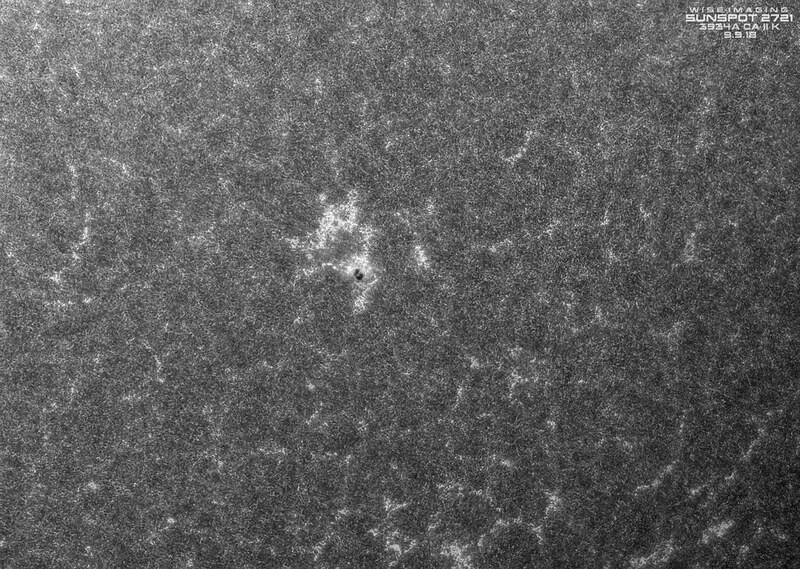 Regardless, I would always use a secondary IR blocking filter of some kind with this type of ERF. Blocking IR and UV at the objective is always best if it can be done, and considering your TOA 150 likely uses ED glass element(s) or possibly fluorite, both with a large CTE, I would consider it necessary for optimum optical performance, as well as H alpha filter longevity. Edited by BYoesle, 14 February 2019 - 09:38 AM. I can confirm the Daystar yellow ERF doesn't block IR at all. It's just a big UV filter. But it does drop thermal load enough that I warrant using it versus not using it. 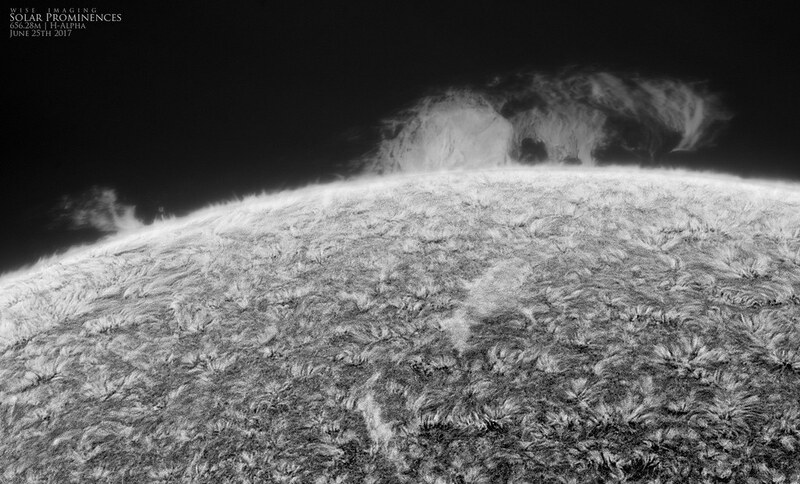 It doesn't retain a big heat cloud on it like a big KG3 filter would that would ruin seeing. Mine reflects yellow light when I put my hand in front of it and there is a focal point about 1.5 feet out from the objective. When I use that yellow ERF and combine it with my IR/UV block filter (to reflect the long IR out), the heat load is greatly reduced in my 6 inch refractor compared to not using anything but the IR/UV block filter. Without the ERFs, my tube-seeing was awful and my Quark would overheat quickly and go off-band. 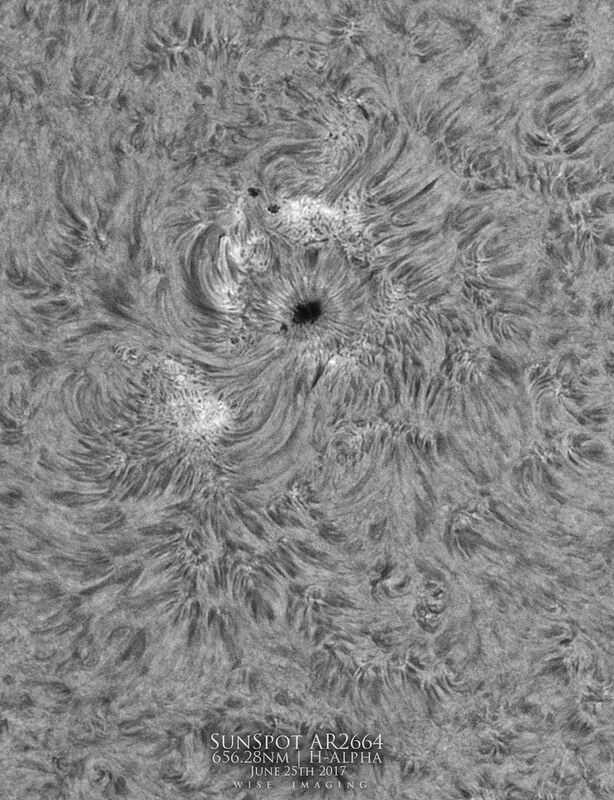 With the ERF, my seeing is great and my Quark stays on band nicely and nothing over heats. I use a UV/IR block filter with it to block the long IR. And when I use the yellow ERF and try to use anything 393nm or so, it's nothing, since the ERF blocks it completely and nothing in that wavelength is coming through so I only use it for HA basically. I emailed Daystar a while back about the yellow ERF and the need for long IR blocking and they said that it wasn't needed. But I still use an UV/IR block filter with it just to cut down the long IR and further drop some heat. I would much rather have a Baader ERF, but, I got this one for $400 so I cannot complain. That said, my tri-band ERF holding cell is shipping today... so soon, this one will move on! And now it will rain for 2 months at least here. Edited by MalVeauX, 14 February 2019 - 10:28 AM. "The colored ERF glass blocks all the UV but none of the IR. There are 4 reasons it's fine. 1: You saw my talk on how much energy makes it into your telescope. 2: The sun doesn't have a ton of watts of transmission in the IR. The solar transmission watts is very heavy in the visual spectrum. 3: I support moving people into a UV/IR cut filter for the sheer advantage of reflective vs absorptive blocking. 4: The ERF doesn't have to block ALL the light in order prevent telescope spontaneous combustion. The front mount ERF is generally a dumb, clunky, fear-based idea to resolve the question, "But won't that hurt my telescope"? Absorptive front mount ERF glass heats, swells and deforms. If you ever saw the disruptions to figure from a hand move in front of a zygo, you'd never want absorptive glass in front of your objective ever again. They are necessary with SCT's (sort-of) with SCT's because the secondary is at risk and we can't get a UV/IR cut filter inside there. Any of my articles about UV/IR cut vs front mount colored glass will depict a world where UV/IR cut is fine or even better unless you personally just feel better with front mount. So what's the true, correct solution? 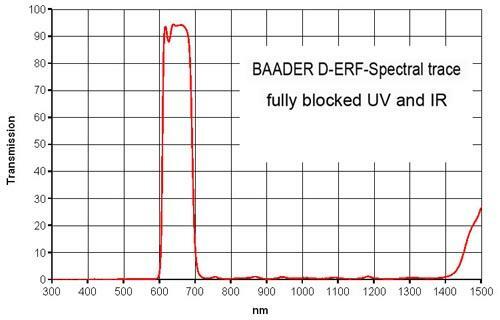 To block ALL the light, a Baader D-ERF will block both UV and IR and the visual all the way up to 600nm. It's effectively a blocking filter. But do you need all that blocking up front? - certainly not. The job of the front element is to reduce the thermal load so that the telescope and accessories are not at risk of damage or overheating and poor performance. The down-side of more blocking is more cost and reduced applicability. We moved from Red to yellow in or ERF glass so the clients didn't need to buy new glass for a Sodium or Helium filter. The impact is perhaps 5% more heat, but 5% of a load that is borderline insignificant to begin with anyway. (The palm of your hand doesn't light on fire in the sun and it's not even transparent). Another downside is the inflexibility of moving scope to scope front mount ERF's. 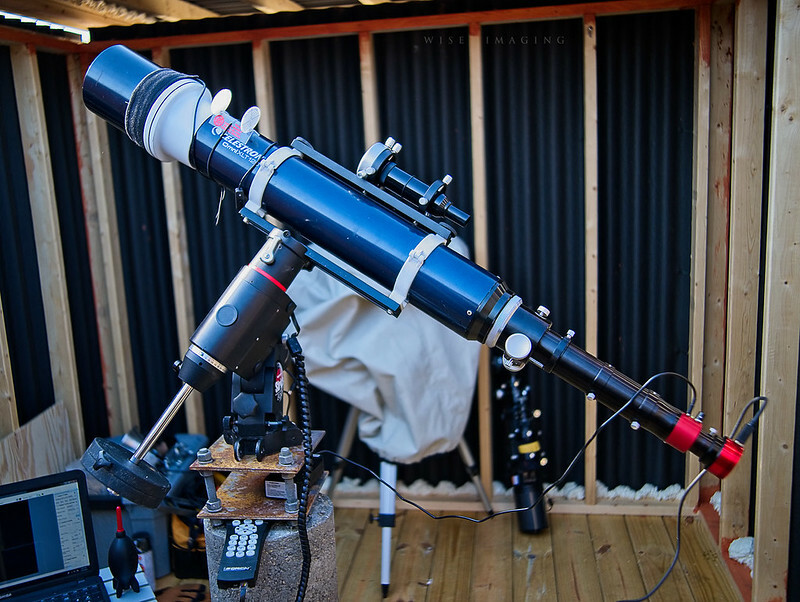 So you _could_ go pay to have a 150mm blocking filter fabricated (to 1/4 wave with all the coatings) to fit your telescope and block out ALL light except the narrow H-alpha line at a cost of $20,000. The answer lies somewhere between the absurd overkill $20k answer and no protection at all." I've cracked enough glass to know differently. Front mounted ERF is the way to go for more reasons than just keeping the scope safe (scope design matters a ton). I've used all kinds of ERFs at this point and keeping the heat out of the tube is not just about not hurting the scope or anything but more specifically also related to local seeing conditions in the total imaging train. And again I've cracked enough glass on the camera side without appropriate thermal handling that I'll continue to block the light before it ever gets in the tube. $20k is hyperbole, especially for a 150mm size filter. I bought a 214mm filter that blocks all light except three wavelengths and is a narrowband blocking filter in its own right, dielectric, for less than 1/10th that price. I'm confident it's the reason USA is experiencing such horrible weather recently. Just to address the seeing issue. 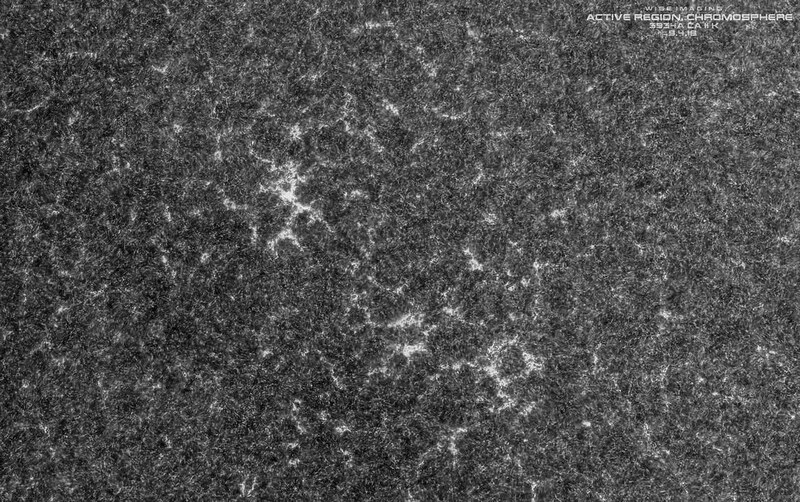 I cannot find them now, but the well-done CloudyNights experiments that I have seen have always shown no benefit from smaller aperture in bad seeing, assuming you use the same magnification and adjust the brightness (e.g., an ND filter). Yes, I have seen the diagrams of air cells, and I am sure it is true for huge professional telescopes, but not in the amateur range. My own experiments were A/B'ing 18" versus 7" off axis on planets. A brighter image does highlight the bad seeing, and I think that is what people are actually seeing, not the actual effect of the larger diameter. Even if the air cell theory is right, then instead of a blur, with a smaller aperture, you should see something like a flame flickering, which would kill the detail anyway. I have a 130mm and a 150mm for H-alpha. Going to 130 never helps in any conditions, other than easier set up. If seeing is so bad that the 150 is unpleasant, then I go to lower power. The focal length of the 150 makes that harder, so my 80mm makes more sense. But it doesn't improve the view. On top of that, think of the views over the past 10 years that you remember. Was it the poor views at low power? Or the amazing sometimes fleeting views through a large aperture. If you don't have that aperture, you will never get those views. But if you have chronically bad seeing, then sure a cheaper, easier set up with lower aperture certainly makes sense. The DayStar 150 mm colored glass (absorptive) filter (mounted) costs $1175. The reduction of thermal loading on the blocking filters can help prolong their life and delay an expensive repair/replacement. So using a IR blocking filter, preferably up front if not at the filter itself is a good idea. I'm starting to remember some things now, both recent and from the past. At SolarFest back in October, Jen gave a presentation about ERF's, centering around the energy striking the optical surfaces, how much energy is actually involved, and the effect of various filtering. Going WAY back, to around '04-'05 when I first got interested in solar astronomy, the only person I had met using a rear-mounted filter was Greg Piepol; he was at NEAF with the solar guys out in the couryard, everyone had Coronado's or Hershcel wedges, he was the only one with a Solar Spectrum. We had talked about ERF's back then. I also spent time talking with Geraldine Hogan from Coronado (before Meade got into it). Then around '07 or '08, Ken Huggett (spelling?) was at NEAF and we discussed the differences between front and rear mounted etalons and the filtering/blocking used and/or required with each. I even recall something said once about front-mount ERF's related to refractors with oil-spaced glass (don't remember who or where), that it was thought a front-mount was REQUIRED to prevent the oil from drying out so that you HAD to have one if you use an Astro-Physics OTA, but then Roland Christien was upset that it implied that his oil-spaced optics were somehow "deficient". 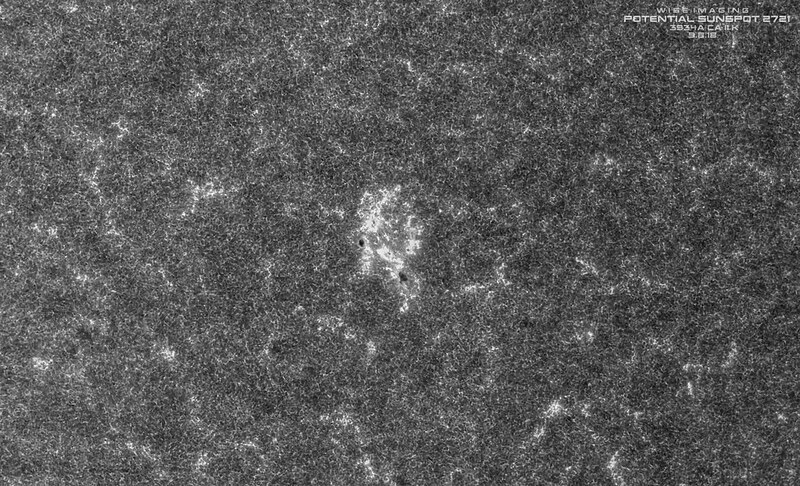 And somewhere through all of this, I recall finding some calculations that showed how much energy was actually getting into the OTA from solar viewing and it was minimal, on the order of a watt or two, not enough to cause any damage. Unfortunately, I can't find any notes in my files on this. From my own experience, I have often run my TV-85 with the Ha Quantum with just a UV/IR filter screwed into the front of the diagonal with no front ERF and never had any issues with heat-up in the OTA. I even remember having this set up once, the weather cleared as the day wore on so I got out my TOA-130, just pulled the diagonal/filter/PowerMate/Quantum/eyepiece assembly out of the TV and slid it into the Tak, not even thinking about the lack of a front ERF, ran like this for several hours before I realized it and the OTA never got hot. I also recall someone saying that it matters whether you OTA is white or black/dark blue; the darker tubes will absorb energy/heat and get warm while white ones stay cooler. I'm not sure what all of this actually means, I just wonder if anyone has ever done a definitive study, measuring temperatures, etc. with various optical trains to really quantify what takes place.